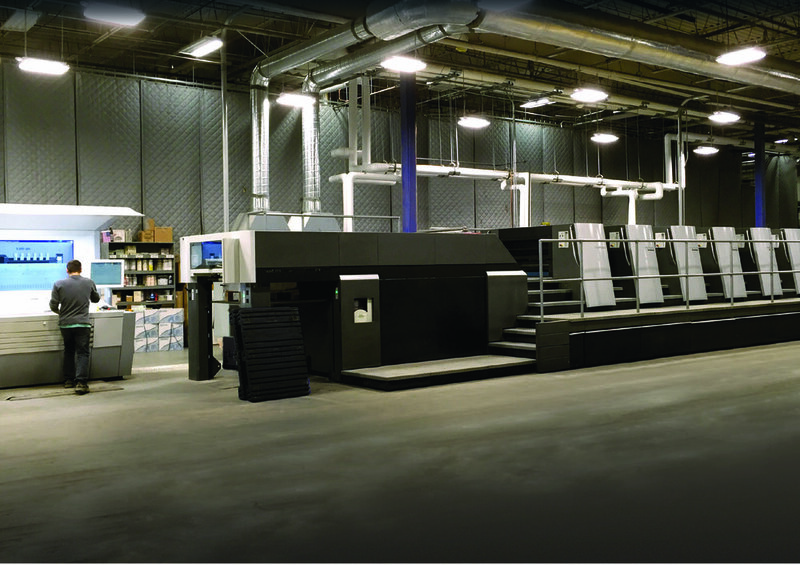 For over 40 years, we’ve specialized in the production of catalogs, print collateral and direct mail. Our roots are in the commercial offset business. It stands to reason that we know a thing or two about putting ink on paper. Whether it’s 2000 double gate fold sales brochures or 2.5 million direct mail pieces we have the press capacity to get the job done. Our sheet-fed printers range from 2-color, 12”x18” to 6-color, to 28”x40”. Aqueous coating is available. Our heat-set, 10 color web (38”x22.75”) offers a wide range of publication folding options. They also have sheeting options which allow us to finish longer run projects in the traditional bindery. The bindery is equipped to handle a variety of finishing options. Many of the functions we perform are done in-line in order to increase efficiency and reduce costs. Ask us how we can maximize efficiency on your next project.